re-posting this cartoon that I did on designer waders. Nice artwork Johnny! 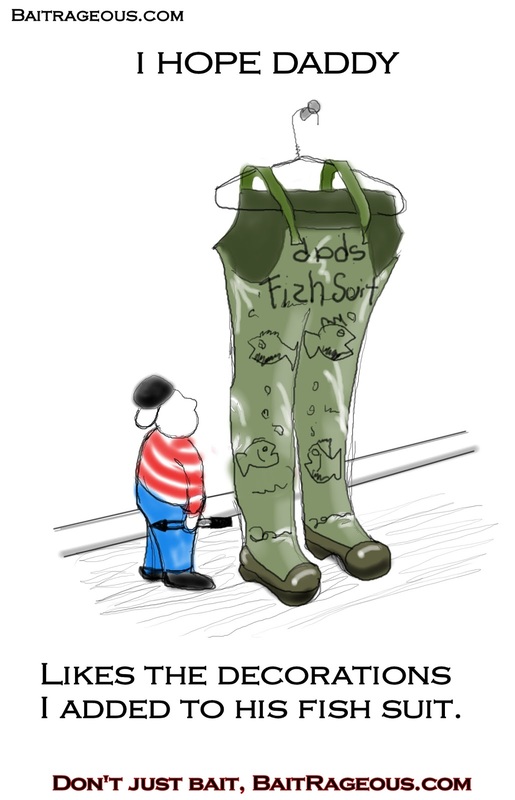 Looks like little Johnny just invented designer waders. Hmm... little Johnny's artwork is all over his dad's fish suit, as little Johnny calls them. Is that a permanent marker in Johnny's hand. Oh no, wonder what daddy's reaction will be? Keep that darn kid away from my new Orvis waders, I want to look all "store bought" when I go fishing next time!